I’d like to introduce you to my awesome, talented friend Susan Dana. Susan is a self taught weaver of magic cloth, or so it seems to me anyway. I am yes, in awe, of someone who can take a wooden frame and some threads and create an object of beauty such as this scarf. So, I am excited to share Susan’s talent with my friends today and I am thankful Susan agreed to let me showcase her work on The Journey Girl! Isn’t this gorgeous? The pattern is so detailed! 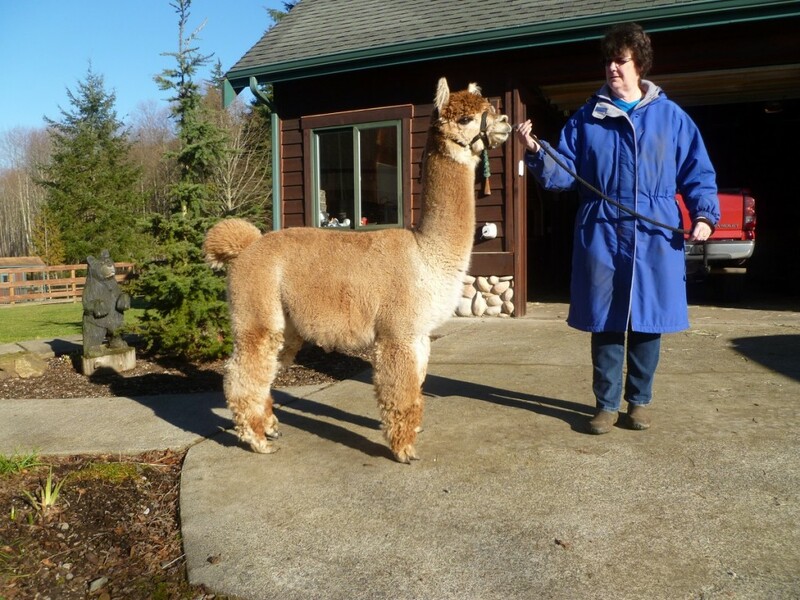 Susan and her husband John are the owners of 3D’s Alpacas. 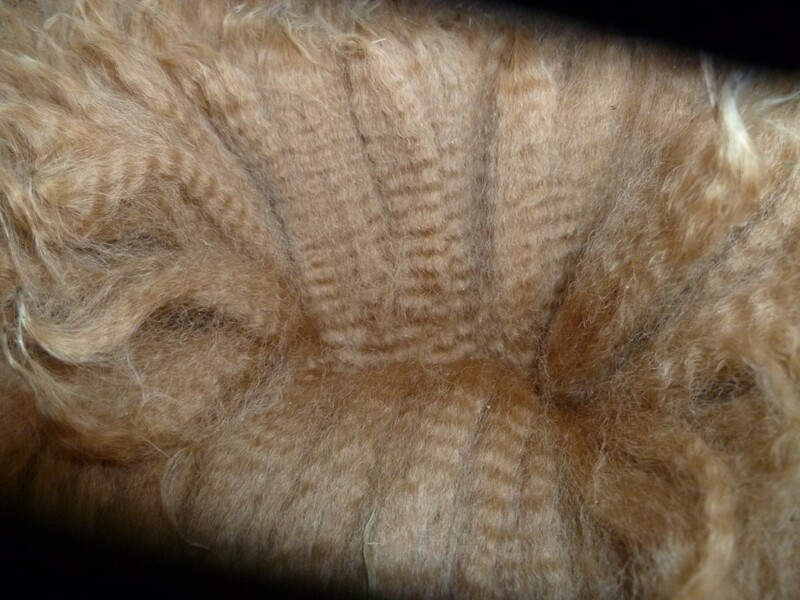 I first came to know Susan through our mutual Alpaca interests and have long been impressed by her knowledge of Alpacas and the incomparable fleece these animals produce. Her enthusiasm for teaching others about raising these gentle, beautiful animals and the multiple uses for their fleece has inspired many newcomers in the Alpaca business. 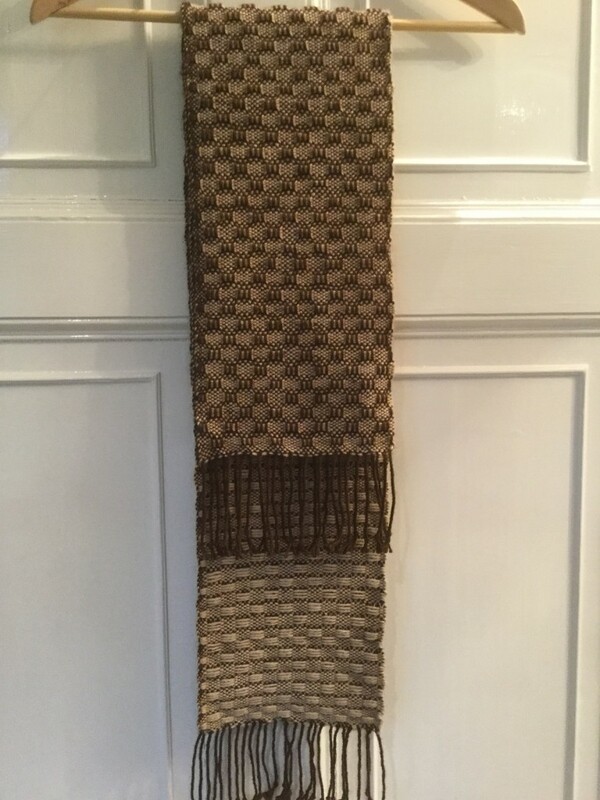 Currently living abroad, Susan has delved into the creative and artistic side of Alpacas by using the natural color Alpaca yarns to weave beautiful scarves. I am endlessly curious about what the impetus is for people to pursue this type of artistry and I recently spoke with Susan about how all this got started. Susan received her first pet Alpaca boys for Mother’s Day in 2003. 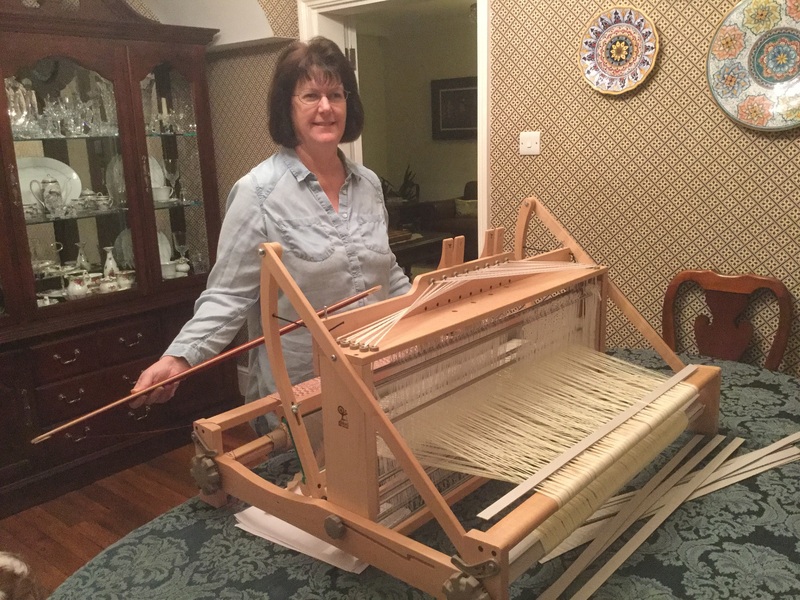 Then in 2004, she and John obtained their first pregnant female and in her words “we were hooked!” Susan has long been fascinated with spinning and weaving and fabrics in general. She told me she has sewn baby quilts for the grandchildren that she machine embroidered. She made her own wedding gown and the wedding gown for a daughter in law. When her husband suggested she try spinning and weaving she jumped right in and weaving has become a passion of hers. Susan and Snowmass’ Shadowfax, one of her Alpaca Herdsires. 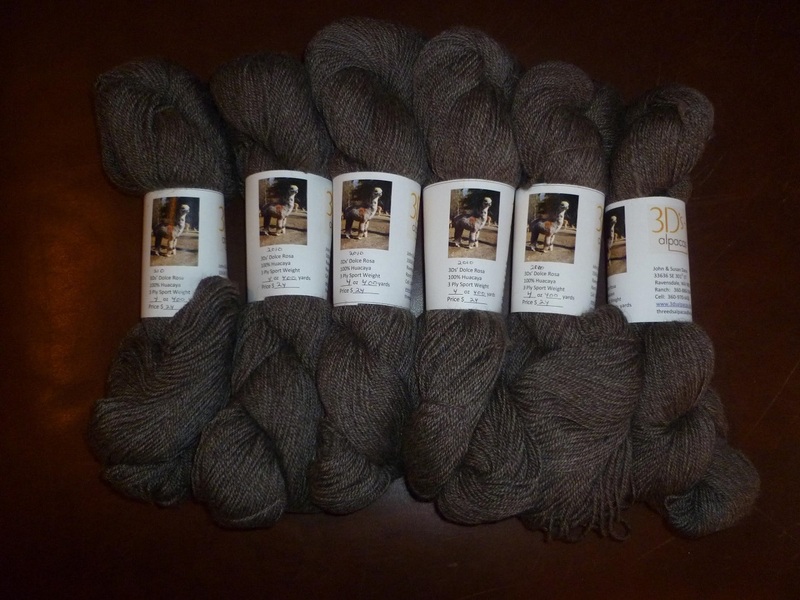 Running 3 D’s Alpacas influenced Susan’s desire to weave because she wanted utilize as many of the benefits as possible that come with Alpacas. Not just “show” animals but producers of the softest fleece imaginable. Shadowfax’s Fleece. Crimp and sheen! 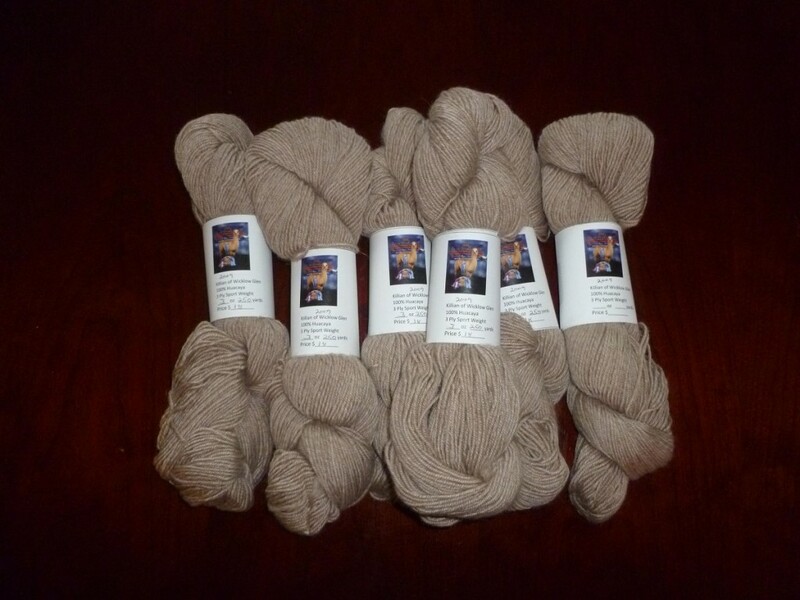 The Alpaca fleeces are spun into soft, brilliant yarns that Susan then weaves into fabulous scarves. 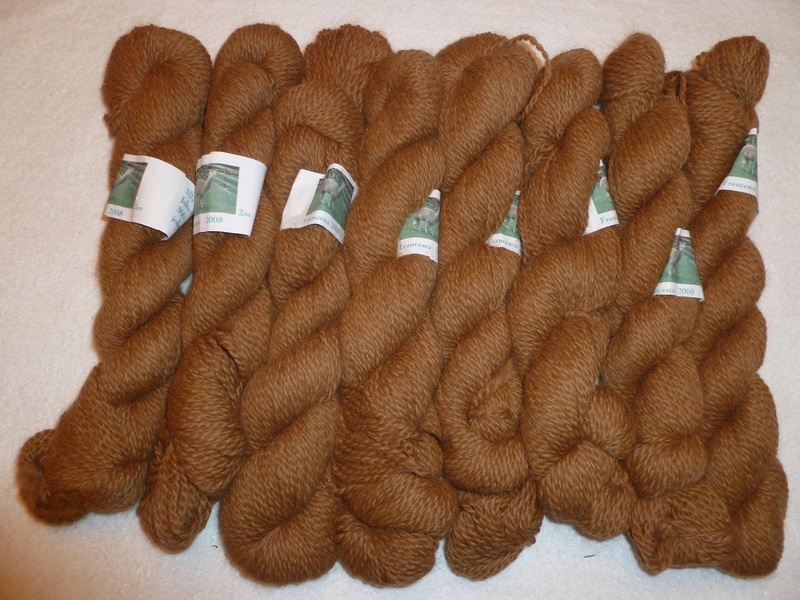 Just look at these incredible yarns from fleece produced by her Alpacas. She first made use of the yarn by crocheting, but in 2013 she started teaching herself to weave. Starting out with a small table top Ashford 12 inch Ridged Heddle Loom, she upsized in July of 2014 when she obtained the Ashford 32 inch Ridged Heddle Loom. 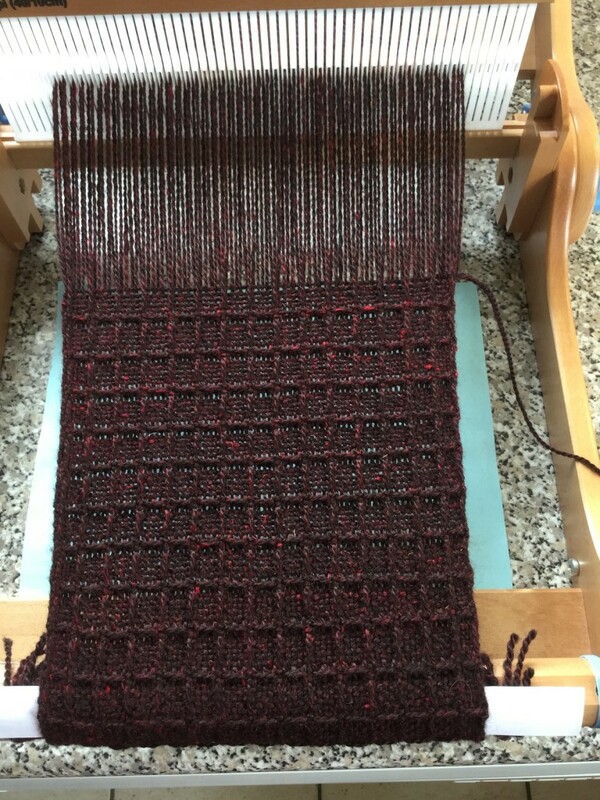 This past December Susan again upsized to the Ashford 8 shaft table loom shown here. She has certainly developed her skill level in a very short amount of time! OK…I look at this loom and just shake my head in amazement! Last year Susan told me a story that I still marvel at today. 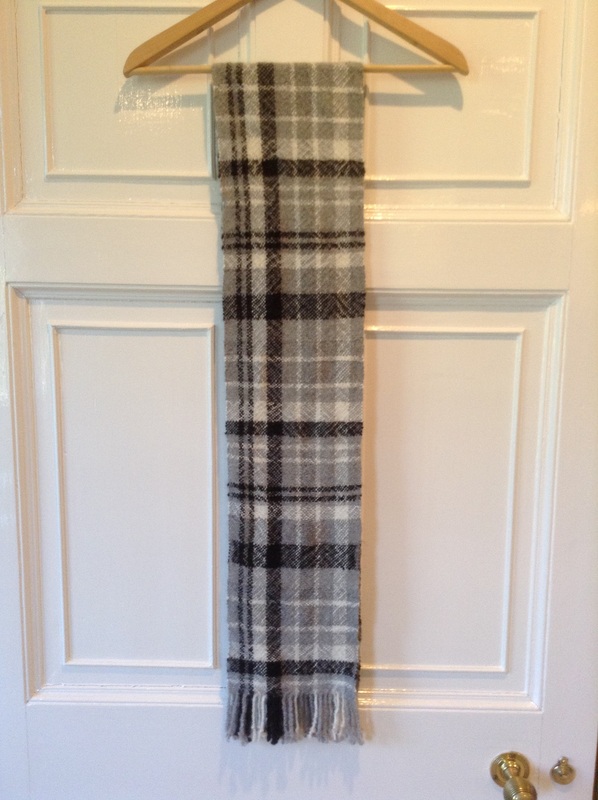 It seems her husband John was looking at a magazine while on a airplane and found a picture of a scarf that he liked. Once home, he showed the picture to Susan and asked if she could reproduce it and make him the scarf. This is it! From a picture in a magazine. Her husband told her “she nailed it!” He also suggested she make another one in brown tones, so she made that one too. This is when my jaw dropped and I shook my head in amazement! From a magazine picture. Using patterns both from books and her own designs, there appears to be no limit to what she can create on these table top looms. I LOVE the reversible pattern of this scarf! And then we have these matching beauties! Susan tells me that after working mostly with Alpaca, she is now creating kitchen tea towels using cotton on her newest loom. 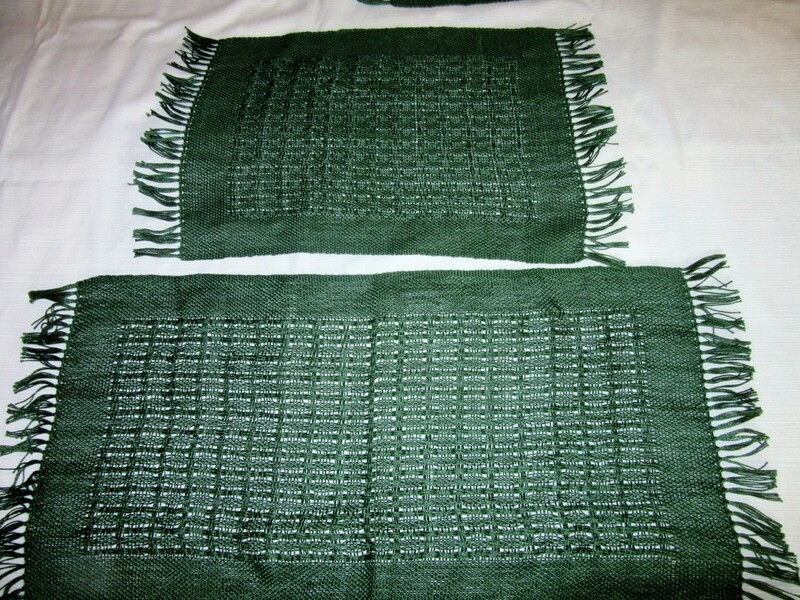 This is the first towel off of her new loom and it is just lovely! 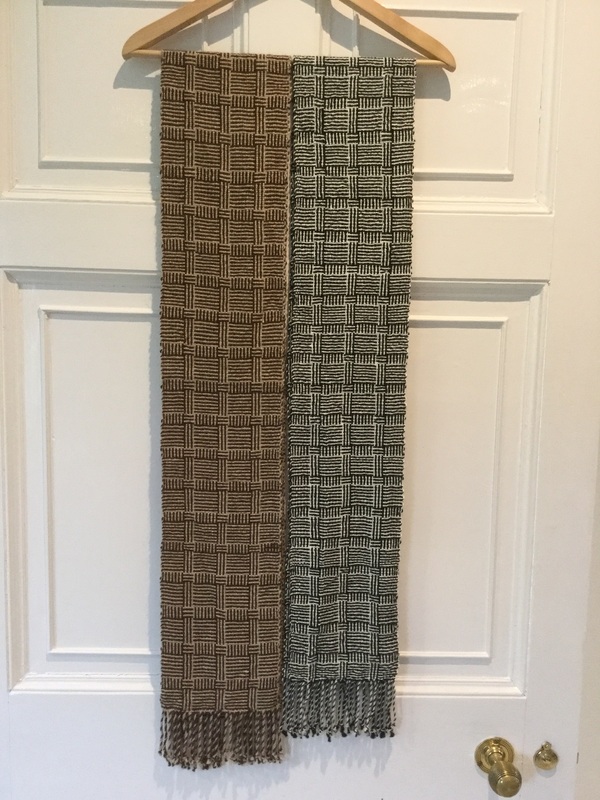 And finally, I asked Susan “what is it about weaving that keeps you going?” She replied, ” The excitement of seeing the finished item!” Judging by the designs of these beautiful scarves and now the tea towels, I’d say there will be plenty of exciting creations ahead! You know, I am truly blessed to be surrounded by such awesome talented friends like Susan. I find myself looking at their talents and artistry and I just stare and shake my head in amazement. They inspire me to attempt new projects and my hope is that these stories somehow inspire others to go beyond themselves to discover their own awesome talent! Thanks so much for stopping by. I hope you are abundantly blessed wherever your journey takes you today. Journey on! 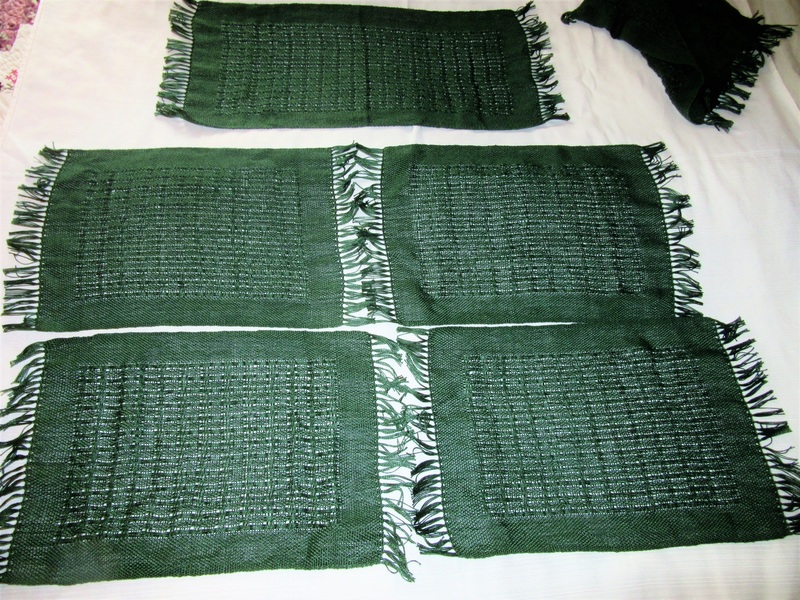 I just had to update my story on Susan because I am now the happy owner of these gorgeous hand woven place mats and table runner! Susan made them for me and I received them yesterday in the mail. The color is a deep evergreen which I love. There are 6 place mats and the table runner. 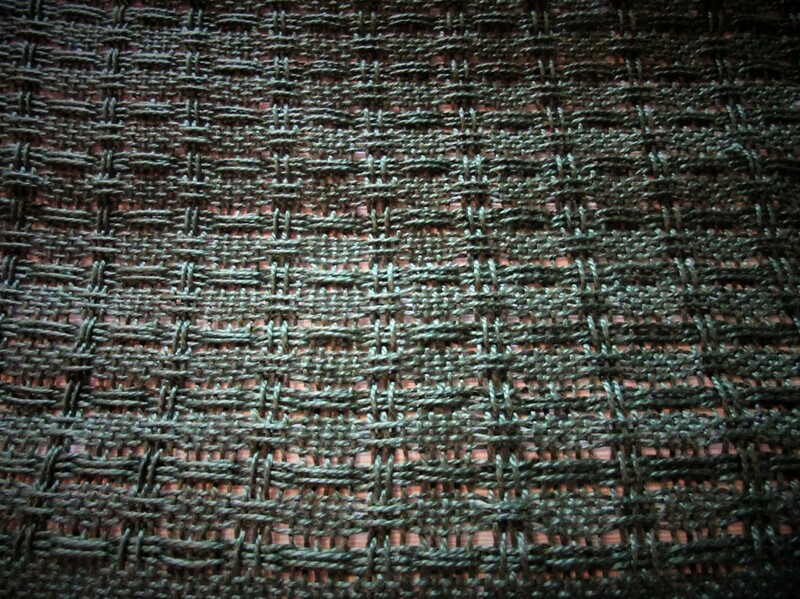 I choose a Basket Weave design. It is so intricate and again, shows Susan’s awesome talent! These will be treasured! And…they will be well utilized in our home back in Washington State! « A Few Things That I Miss…Quite A Few Things! Thank you Karen. I would love to help you with weaving. You have so many talents too with everything you do. So much to do. So little time, but we will weave together at some point! What a talent Susan has. The scarves are just gorgeous and I can only imagine how soft they are. I would love to learn to weave one of these days. Thanks for sharing Susan’s talent with us Karen. Impressive! 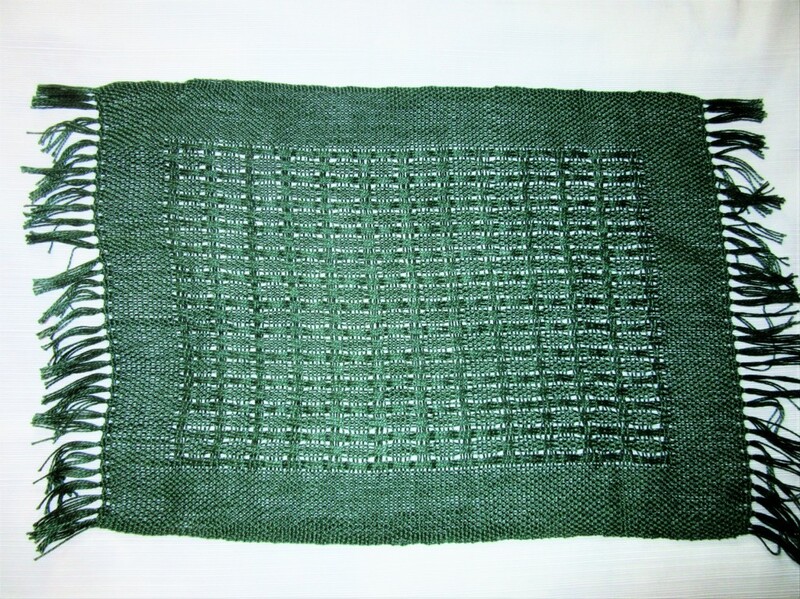 I’m in love with natural fiber dish towels–they’re hard to find anymore! 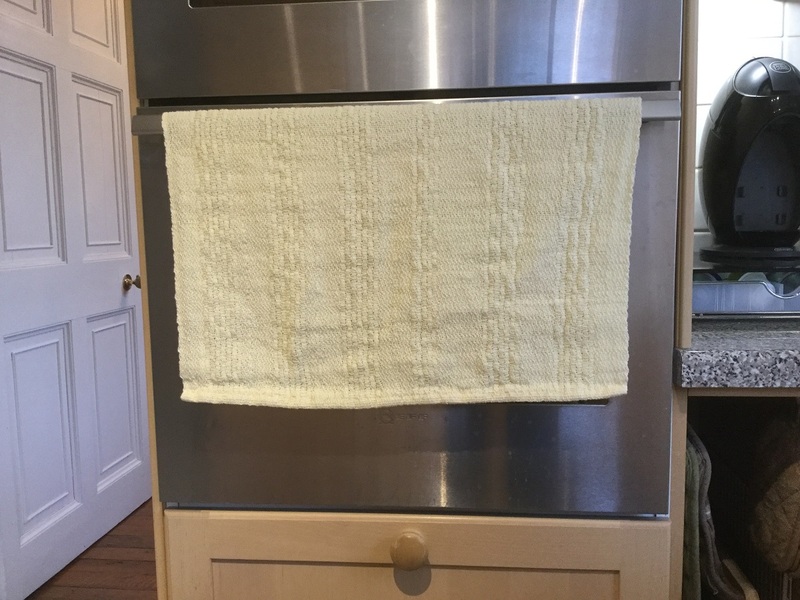 I have flour sack dish towels coming out my ears (I actually have them in three stacks–stained, slightly stained, and not stained–so I can use them accordingly. It’s the looser weave cotton, linen, and flax I especially love. If Susan is ever selling them, I’ll be in line to buy! Thanks for commenting Sarah! Susan has a wonderful talent and I am happy she allowed me to share it here. I’ll let you know about the tea towels. We can actually find cotton dish towels here. I’ll keep my eye out for one! Sarah, thank you. The towel that are in the pictures are 100% Cotten. Machine wash and dry. When I get back to the state next year I will be making a web page to sell them. Other wise when I’m in the states for a visit, I bring them with me and mail them. Karen, is Susan in Germany too? When will she be going back to the states? One more question…is she going to sell her scarves? I would love to buy one. I am in The UK. I have one more trip to Wa in June and then in March 2017 I move home to Wa and my husband will retire. Yes I do sell them. I’ve enjoyed watching Susan show her beautiful finished scarves via FB. What a talent! I have taken a weaving class that my farm has hosted and will be hosting another one in February, I hope it sinks in this time. Keep up the great work Susan, you have a gift. Thanks for commenting. I hear you when you say “I hope it sinks in this time.” I am just so impressed with Susan’s talent! What a wonderful article on Susan, and her weaving skills! I am so impressed! And very amazed at the beautiful scarfs she has made! If Susan’s future holds “classes”, I will definitely be signing up. Thank-you, Karen, for this great read, and for showcasing Susan’s talent. Thank you for your comments! It makes me happy to be able to show case the talents of my friends. Everyone has some unique talent and Susan makes beautiful scarves!.